Wow, what a difference a few weeks make! I was just checking out our nematode post from earlier this season and it started with comments on how mild the weather has been. There is nothing like a foot of rain and a couple weeks of 95+ºF heat to change our tune. With all the heat, record numbers of samples are being submitted to the laboratory. 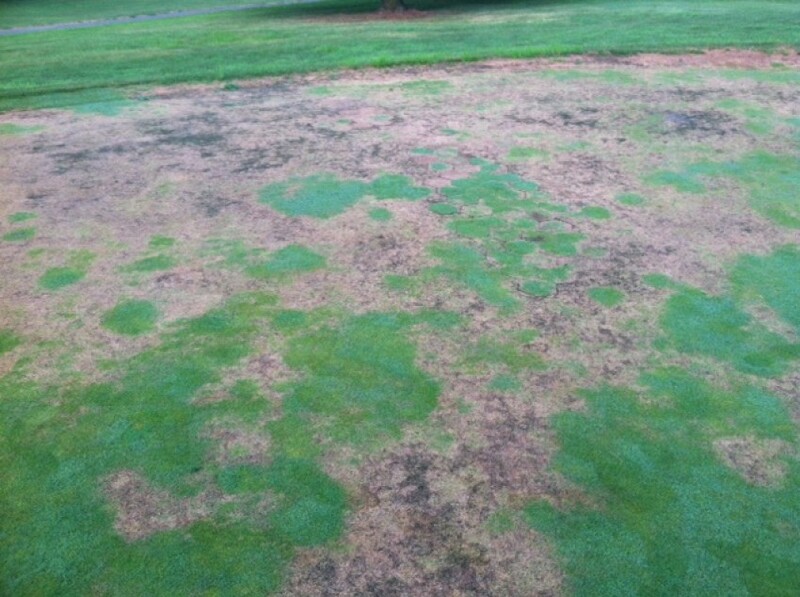 Among a whole bunch of heat stress/wet wilt samples and a veritable cornucopia of diseases emerges one of my favorite diseases, Summer Patch. Summer patch is the second most diagnosed problem in our laboratory in a given year. This year is no exception as samples diagnosed with the disease have increased in frequency since about the last week in June. 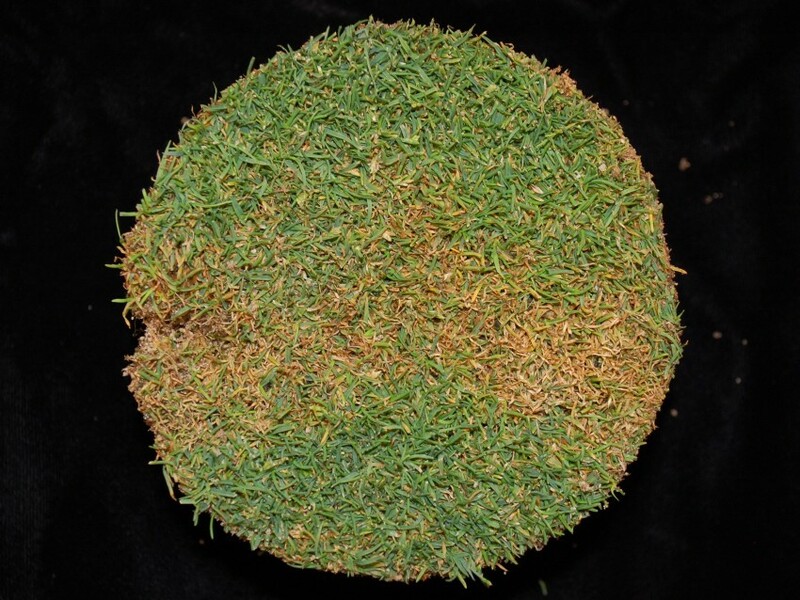 We get a lot of summer patch samples because the disease is not only difficult to identify and control, but also because we get samples from golf courses, sports fields, and residential lawns. 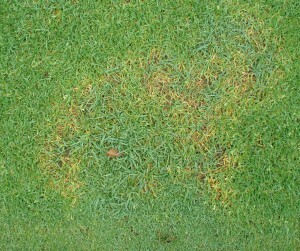 The fungus that causes summer patch, Magnaporthe poae, is a pathogen of the roots of bluegrasses and fine fescues. 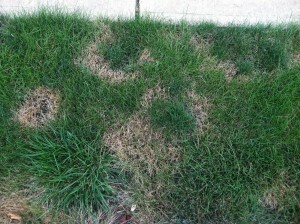 In the soil, it attacks susceptible roots during the spring when soil temperatures range between about 65ºF to- 82ºF. 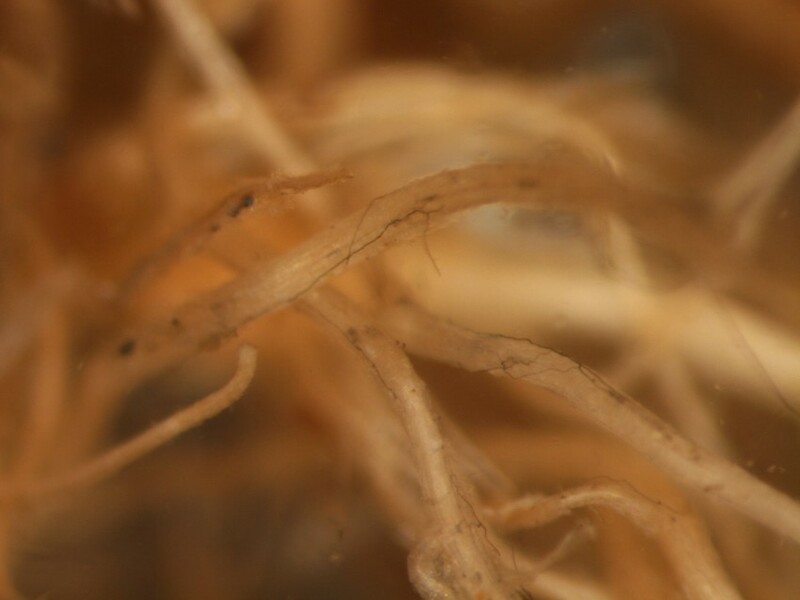 Once the damage to the root systems is done, then it is only a matter of time before external stresses – management or environmental – take the grasses. 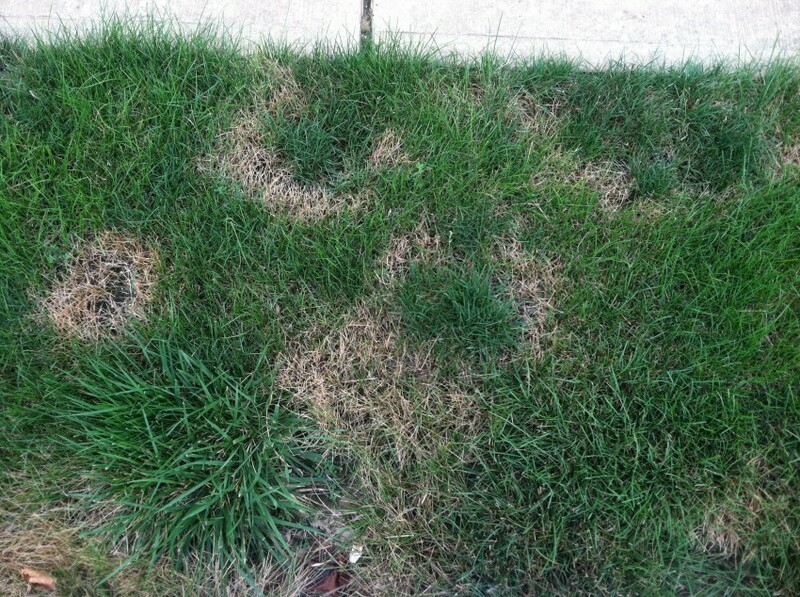 Sometime around the 4th of July, diner-plate sized rings and patches of discolored, wilted, dying, or dead Kentucky bluegrass, annual bluegrass, or fine fescues appear in your turf. 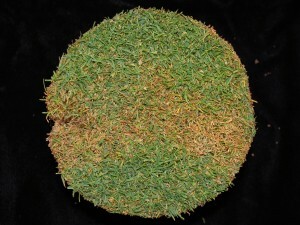 Cultural management of this disease is easy – simply overseed with a non-host grass like perennial ryegrass on a residential lawn, or creeping bentgrass in a golf turf application. 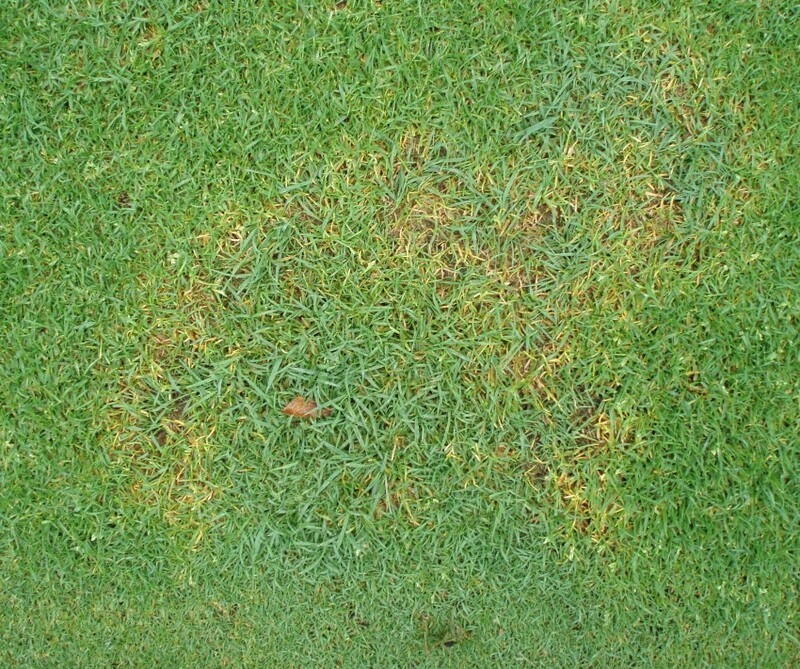 Where bluegrasses must be maintained, coexist with the fungus by using management practices that enhance and preserve root function. Raise or maintain the height of cut, cultivate to reduce compaction and thatch, improve drainage, and irrigate frequently to keep the plants alive during heat stress periods. Fertility practice is also important here – avoid nitrate forms of nitrogen and maintain a soil pH between 5.5 and 6.0. 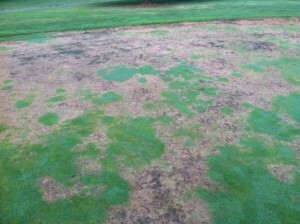 Fungicides are also effective, if they are used appropriately and timed to perfection. Time the initial application to the 65ºF soil temperature, use high label rates, repeat the treatments at 28-day intervals, and use enough water or post treatment irrigation to get the products into the root zone. Resistance has never been reported with this disease, but several materials in the DMI (FRAC code 11), MBC (FRAC code 1) and Qoi (FRAC code 3) have been found to be effective and rotation is always recommended. Easier said than done… sometimes the disease breaks through perfectly executed programs… I think I’d rather go to the beach!